3DS is the 8th generation portable console from Nintendo and a successor to DS. It was released in North America and Europe in March 2011. The most important new feature in 3DS in comparison to its predecessor was displaying stereoscopic 3D effects on one of its screens (that’s also where the console's name comes from). Sales of 3DS weren't as spectacular as the results achieved by DS, but the newer console also achieved great success. Another game by independent Swedish studio Image & Form, set in the universe of SteamWorld, which combines elements of Steampunk and Western genres. The game is set in the distant future, where a powerful cataclysm forced the remaining inhabitants to flee into space on steam space ships. The player becomes a captain of a group of robo-pirates who are trying to survive in this post-apocalyptic reality by raiding and plundering enemy bases and ships. 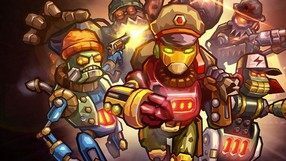 SteamWorld Heist is a turn-based science-fiction game with movement points system (when a character performs an action they use up movement points). You control a party of antiheroes who use various weapons, gadgets, and special skills. The key to success is to appropriately use the different skills and combine various combat tactics, depending on the situation. 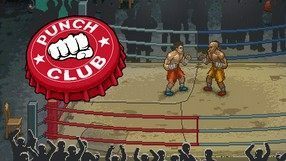 A boxing manager game with RPG and tycoon elements, created by Lazy Bear Games studio from Russia. The plot of Punch Club (also known as Video Hero Super Story) tells a story of a boy whose father was brutally killed. Twenty years later, the hero decides to become the best fighter in the world and find out who was responsible for his father’s death. Apart from fighting, the player needs to take care of the character’s everyday activities. You have to follow a diet and train, which will help you face ever stronger enemies, but to do that, you will need to have a well-paid job to cover the costs of, for example, exercising equipment. The game features old-school pixel visuals, which resemble video games and films from the ’80s and ‘90s. Traditional turn-based strategy, which is very similar to the Panzer General series published in the nineties of the twentieth century with its game system and audio-visual setting. Players take over the role of commanders of one of the several armies that fought in Europe during World War II and try to lead them to victory. Tom Clancy;s Ghos Recon: Shadow Wars is a turn-based strategy produced by Ubisoft. The player plays the role of the commander of an anti-terrorist unit sent with dangerous missions to various corners of the globe. The title exploits the technical capabilities of an innovative platform, including a three-dimensional display and a touch-screen assistant. Code Name: S.T.E.A.M. is an original mix of action game and a turn-based strategy developed by the Japanese studio Intelligent Systems. The game is set in a steampunk world. Action in Code Name: S.T.E.A.M takes place in the 19th century London invaded by aggressive creatures from outer space. During our adventures we control a four-person unit of soldiers which is a part of the elite S.T.E.A.M formation. Our job is to fend off the invaders. Combat is turn-based. In battle, we have to wisely manage our resources and rely on tactical actions, like flanking or ambushing our enemies. As we play, our soldiers get more powerful equipment, making them more effective in combat. We observe the action from a third-person perspective, just like in many action games. The game features fully-3D visuals. Originating from mobile devices, this game combines the elements of tactical turn-based strategy and team RPG, equipped with an unusual control system, modelled on the Angry Birds series. 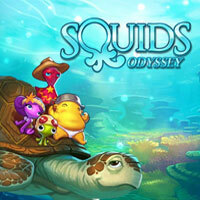 During the game, we take control of a team of friendly squids, which are fighting with a mysterious substance that turns the inhabitants of the depths into monsters. RollerCoaster Tycoon 3D is the next installment of the popular strategic and economic series in which we manage a modern amusement park. This is the first edition of the cycle on the Nintendo portable console. C-Wars is an unusual real-time strategy in which we have to fight off the zombie invasion by commanding the lunar colony's forces of order. Battles are played on squared boards, the colors of which determine which units we can call them. Funky Barn 3D is a humorous, skillful agricultural simulation with time management strategy elements. The player plays the role of a farmer, and his task is to bring a small farm to bloom. This requires the use of a variety of bizarre machines and the constant monitoring of the harvest and extremely carefree animals. Representative of the tower defense species, whose action was set in feudal Japan overwhelmed by internal conflicts. 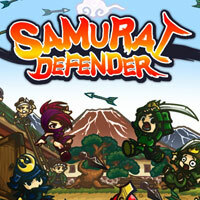 While playing in Samurai Defender we play the role of the commander, whose task is to defend the castle against the waves of enemies. A turn-based fantasy strategy game developed by studio Level 5. The game combines the world of the Yo-Kai Watch series with the gameplay of popular series Romance of the Three Kingdoms. In the game the player controls the yokai creatures known very well by the fans of the series. The creatures are invisible for most of humans and they are used for building player’s own empire. The tasks which player will complete include recruiting armies, training the units, fighting in a turn-based system and conquering new territories. 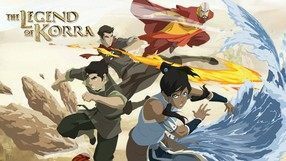 The gameplay mechanics are similar as in the Romance of the Three Kingdoms series, except that the typical historic themes are swapped with a fantasy world filled with extraordinary creatures. Yo-Kai Watch: Three Kingdoms, similarly as its jRPG predecessors, utilizes the unique features of 3DS handhelds, allowing controlling the units in unordinary ways.